The Automation World Leadership in Automation First Team Honorees are chosen solely by write-ins from readers, rather than prompted answers from a list of companies. That's why we feel especially honored that Opto 22 received First Team awards in two categories for 2015: Data Acquisition Hardware and Mobility. 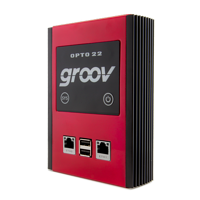 Those two categories encompass our world-famous guaranteed-for-life I/O and groov, the easy-to-use tool for building and viewing your own mobile apps to monitor and control your automation systems and equipment. 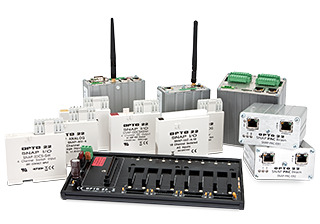 We appreciate your votes and your confidence in us and in Opto 22 products! Remember we're always here to answer your questions Monday through Friday from 7:00 a.m. to 5:00 p.m. Pacific Time. Whether you need technical support, want to spec a product, or just have a question about your application, we're here to help. Or use the handy form to send your question to our Pre-sales Engineers. And don't forget that the OptoForum is open 24 hours a day, 7 days a week. You can ask and answer questions with Opto people all over the world, even when our office and factory are closed.